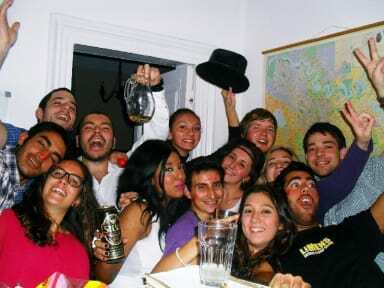 Friends Hostel is one of the best in Bucharest. It is not in the old city center, which makes it very quiet, but still not far from center, which makes it best location for me. Also close to the train station, so easy to get there, and easy to leave. Rooms are large and cody, beds are comfortable, Showers and toilets are cleaned often. I liked the kitchen where i could prepare food for myself, and i have to tell that the staff was super helpful and very friendly and they made my stay the best! Staff seemed grumpy and when i asked them to look after my bag, when i returned I found it in a room unguarded. Hey, there traveler! If you looking for a place where all the facilityes, csming handy,whit aFull kitchen,the Location not too far from Main Train Station, abt.15 min, walking,and the Staff is Healpful and Very Frendly, an Like Puzzle Holster where you are Kiked Out, in the midle of the Night,becouse you ''dere''to followaslip, somewere alse then in your bethroom, after a long day travel..,wel this hoster realy deserve his name, make you Always feel like Home. I enjoyed my stay at friends primarily due to the staff over there which were pretty cool. We had a party at the lounge! The place however, was pretty small and there was no place to put your bags in the room. Location was not very good and given that the buses were pretty much not on schedule, it was quite inconvenient to get around. Not many amenities/shops nearby. This hostel is a nice place to chill and relax but definitely not one if you frequently want to explore the city. The place was clean and the staff was nice and welcoming. I liked that it was very close to the train station. However, it was quite difficult to fall asleep since, after midnight, the hostel was really loud because some members of staff were speaking loudly with other guests in the reception area. Good hostel, close to the train station and easy to get to the old town by bus. The hostel wasn't in the best neighborhood but we never felt unsafe (just don't walk too far down the street where the hostel is located) Staff was nice and helpful and the hostel was clean. The atmosphere wasn't that great, lots of older people staying there. Overall it was a good experience, just a little basic. There is absolutely nothing special about this hostel and it is so far away from the main bits, we got the bus everywhere. When we checked in the staff didn't even tell us their names, the rooms are SOOOOOOO near to the reception we were woken up in the morning by staff playing video games or talking. The hostel has absolutely no atmosphere and you cant really meet anyone. It stinks like smoke. You get no key which is just weird. The kitchen is good but apart from that I wouldn't bother! No key to the room was given. no lockers. rooms were extremely small for the price they charged. no mirror in the bathroom. they barely accept euro as a payment. THEY DON'T ACCEPT CREDIT (welcome into the 21st century). Literally, the ONLY GOOD THING about the hostel was the proximity to the train station and the fact that they had a very nice kitchen. Don't stay here unless you need the train station.